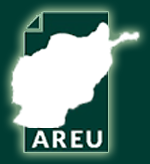 This policy note summarises the findings of over three years of AREU research into the dynamics of representative governance in Afghanistan at local and national levels. 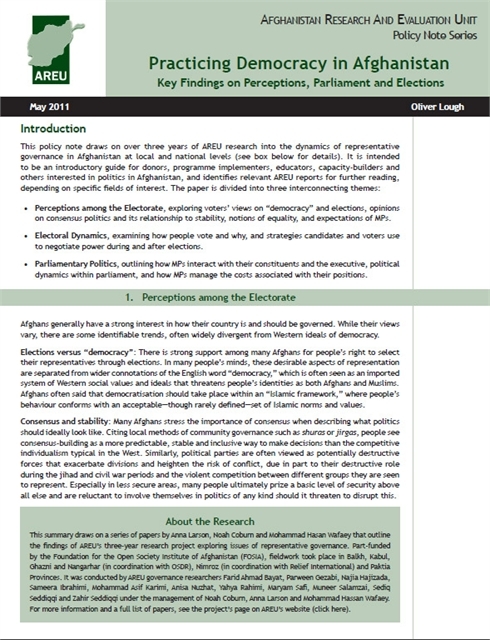 Exploring the three interrelated themes of electorate perceptions, electoral dynamics and parliamentary politics, it is intended to be an introductory guide for donors, programme implementers, educators, capacity-builders and others interested in politics in Afghanistan. It also identifies relevant AREU reports for further reading depending on specific fields of interest.